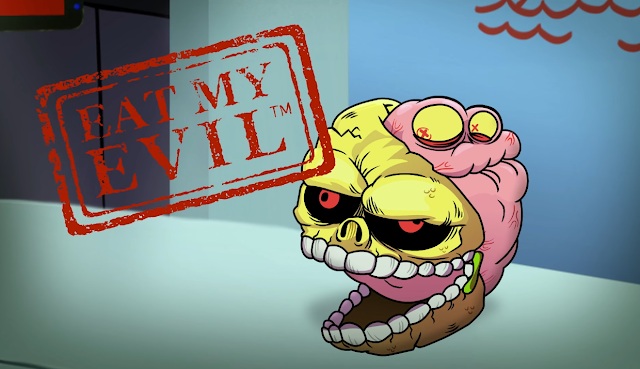 Thanks to a tip from the Strange Kids Club, I've discovered that one of my favorite '80s toylines Madballs has a new web series! Over the past year, American Greetings has relaunched the brand using several outlets. Lion Forge comics released a 4-part Madballs comic series in 2016 which was the 30-year anniversary of the original comic series. In stores now is a brand new toyline from Just Play featuring all the characters in the classic, rubbery size and also a mini blind bag series. Series 2 was on display at Toy Fair 2017 which will debut this fall in stores. Back in the '80s, Madballs also had two 22-minute animated specials that were released direct to VHS. Madballs: Escape From Orb! was released in 1986 and was setup as a pilot episode for a TV series. Madballs: Gross Jokes followed in 1987 and was more of a montage of Monty Python-like gags and skits. Now 30 years later, a new web series has been developed to support the new toyline.